Pros on Call is a professional locksmith company that specializes in a variety of lock services for homeowners, business owners, and motorists. And we are experts in providing quick and reliable ignition cylinder repair services. If you need help resolving a time-sensitive lock problem that involves an automobile, you can rely on us because we provide rapid automotive locksmith services during emergency situations. In fact, we will arrive at your location in half an hour or less from the time you request our help. So give us a call and stress less! In fact, we will arrive at your location in half an hour or less from the time you request our help. When we handle ignition cylinder repairs, we have one goal, which is to troubleshoot and fix the faulty components quickly, effectively, and efficiently, and this is why we always arrive at project locations fully equipped with the proper tools that are needed to successfully service modern and vintage automotive ignitions. Because we’re a trustworthy locksmith company, our licensed, bonded, and insured technicians provide accurate estimates, helpful advice, and ongoing support. By working with our 24-hour emergency locksmiths, the process of resolving an ignition problem that’s affecting a new or old vehicle will be easy, as we have access to the latest repair tools that are designed for modern and vintage ignition hardware. Since all of our team members have over five years of experience in the locksmith industry, you can rely on the procedures that we implemented in order to fix ignition cylinders with delicate locking mechanisms. An ignition is a vital component that interacts with key mechanical components when the cylinder is rotated in order to power an engine. Within a typical ignition, there are multiple components that can easily be damaged, such as the tumblers or any of the electrical hardware. When an ignition cylinder malfunctions, the faulty hardware must be fixed precisely so that ongoing problems won’t develop. Professional repairs are important because a simple cylinder issue can affect how well a vehicle performs. If a key is placed in a cylinder when a problem develops, the process of removing the key will be a hassle because the grooves will lodge in the nooks and crannies. The best way to avoid ignition issues that can affect your typical automotive routines is by seeking ignition repairs whenever minor or major problems occur. By choosing The professional solutions provided by Pros On Call over attempting DIY repairs, you can rest assured that we will get the problem fixed quickly and without accidentally causing additional damages that will cost a fortune to fix later on. There are a few signs that indicate a problem with your ignition cylinder. Professional ignition repairs are required whenever your vehicle doesn’t start in a timely manner. This issue usually happens when an ignition is used a lot on a regular basis. Each time a cylinder in an ignition is rotated, the metal components slowly wear out, which is why timing and alignment issues develop. When this happens, certain portions of a key won’t glide into a cylinder when procedures are implemented in order to power an engine. 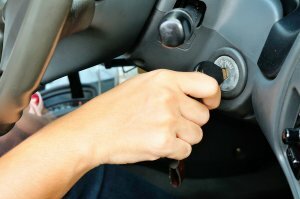 Ignition repairs should also be pursued when an engine doesn’t start after a key is placed into a cylinder and rotated. Because there are many technical and mechanical issues that can cause this particular ignition problem, proper steps must be taken in order to replace or repair the component that’s affecting performance or efficiency. When ignition cylinder repair services are needed, you can count on the emergency locksmiths at Pros on Call. Our mobile units are prompt and commute to a variety of neighborhoods and business districts. Contact Pros On Call today and schedule an appointment for traditional or emergency services for vehicles of all makes and models. 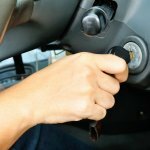 Ignition Cylinder Repair https://prosoncall.com/locksmith/automotive/ignition-cylinder-repair/ 3.9/5 based upon 31 reviews.